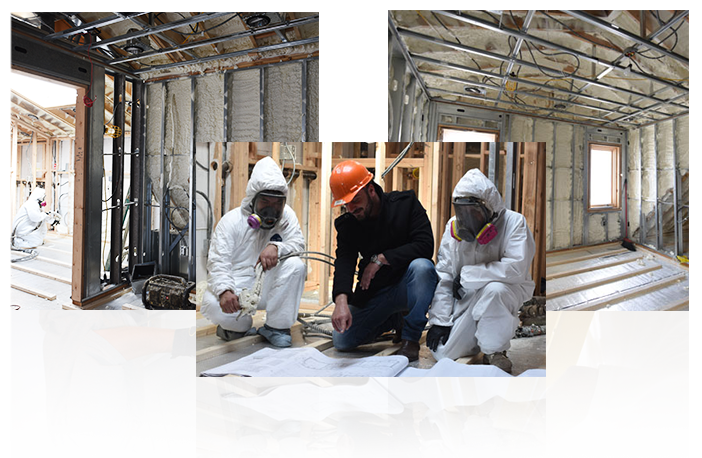 High-quality homes are all alike, while every inadequate home is inadequate in its own way. 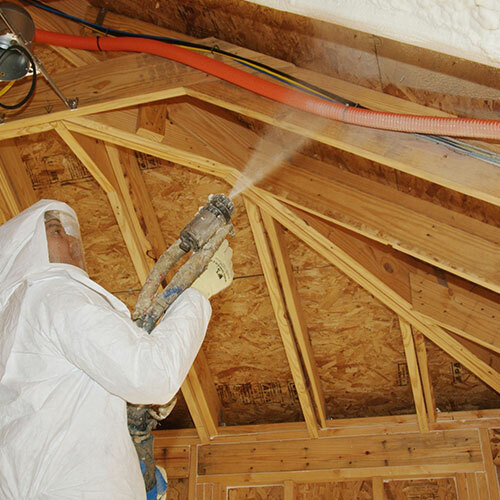 To be fully safe and livable, a house must keep out insects and rodents, use energy efficiently, prevent fires, and separate interior and exterior sounds. 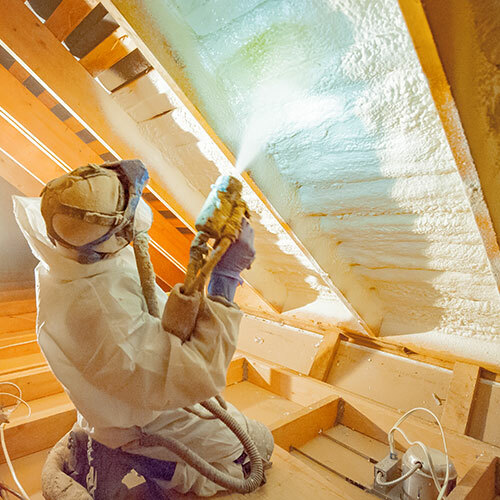 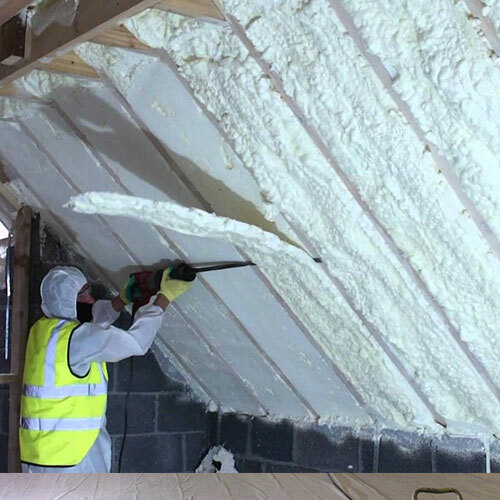 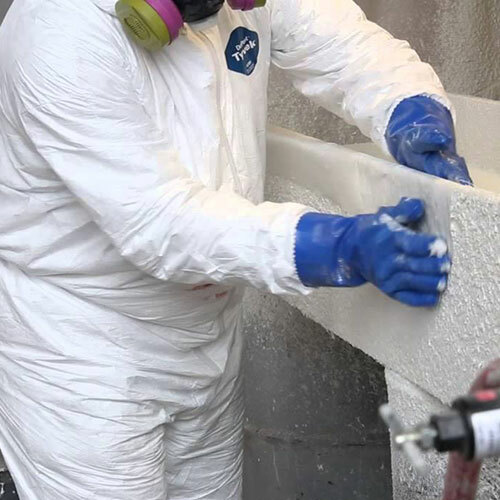 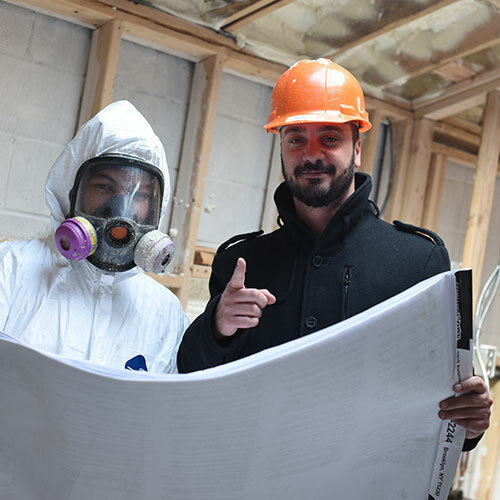 Although there is no silver bullet to fulfill all of these needs, spray foam insulation from Foam Insulation Solutions is a great way to get started, providing your Huntington home. 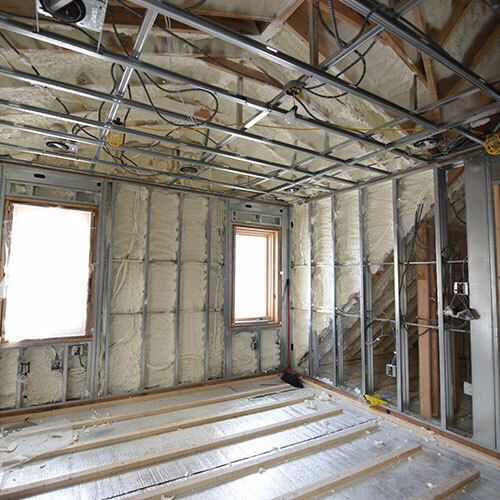 Sound travels through air and water, and traditional fiberglass insulation does little to keep these out of your walls. 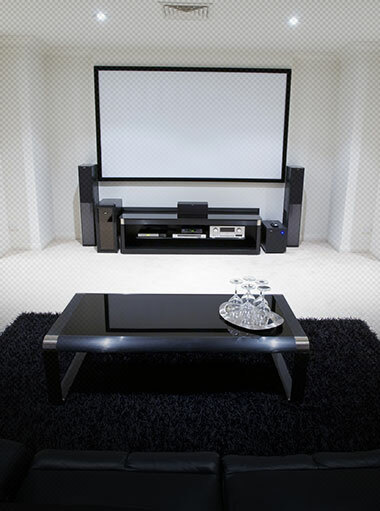 Without an effective sound barrier, outside dins can easily disturb you, while neighbors will be able to hear your movies, music, and conversations. 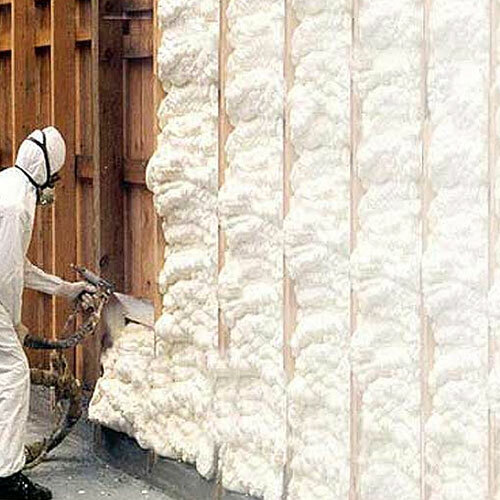 Spray foam insulation succeeds where fiberglass fails, filling in all the gaps within your wall so that air and water have nowhere to go. 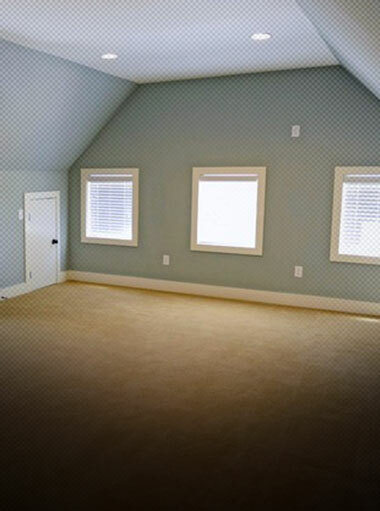 The result is an indoor environment that is totally sealed off from outdoor sounds, letting you be as loud or as silent as you want within the home. 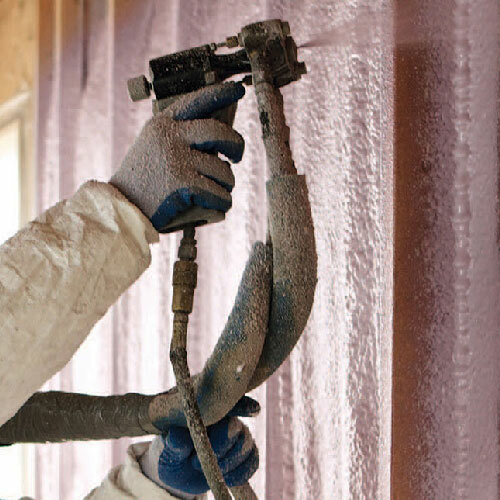 Sound proofing isn’t the only benefit of keeping your walls free of air and moisture. 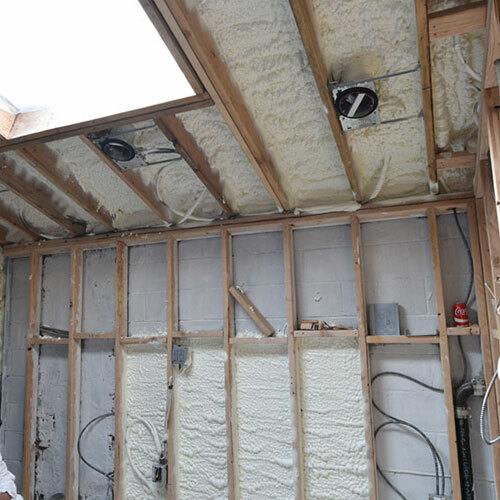 Without these, heat cannot move into or out of your home, improving the efficiency of summer air conditioning and winter heating. 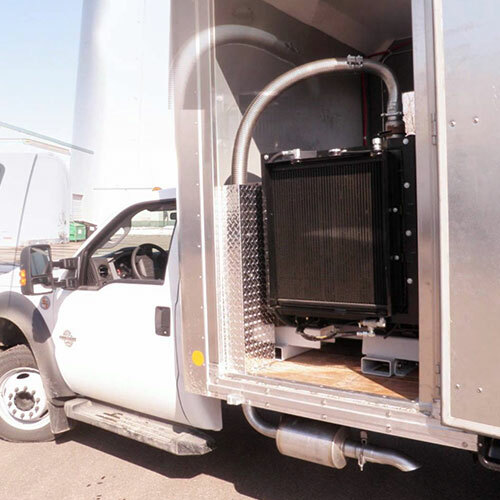 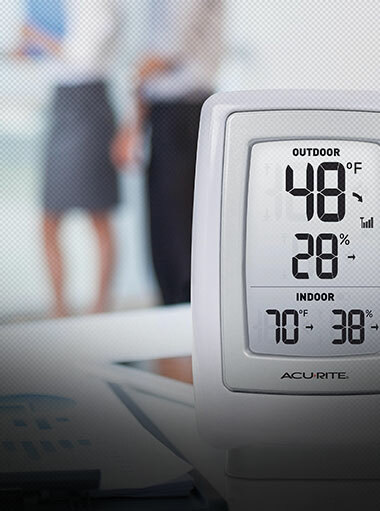 A more efficient climate control system means that your house will not use as much energy, reducing your gas and electric bill while lowering your contribution to environmental hazards. 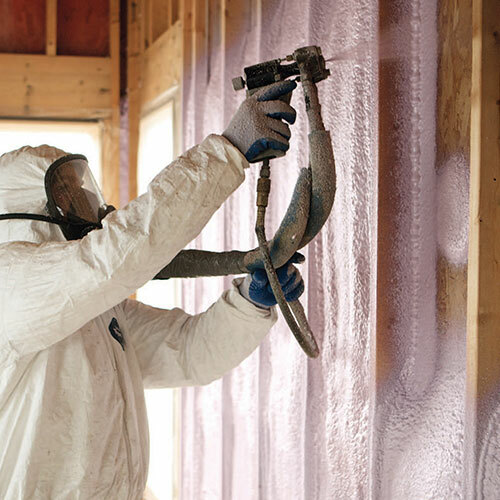 When you add in the many Federal, state, and local incentives for energy efficiency, it becomes clear that foam insulation will quickly pay for itself. 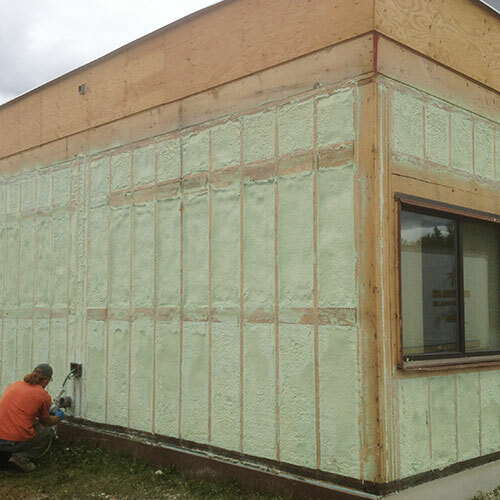 New York state law requires that all residential buildings have a thermal barrier to slow the spread of fire. 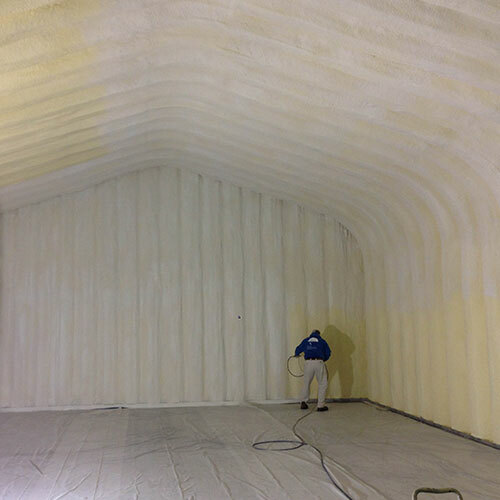 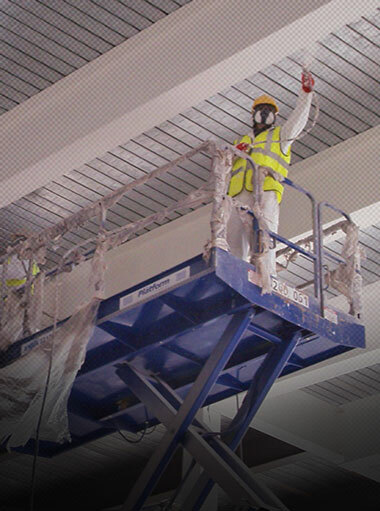 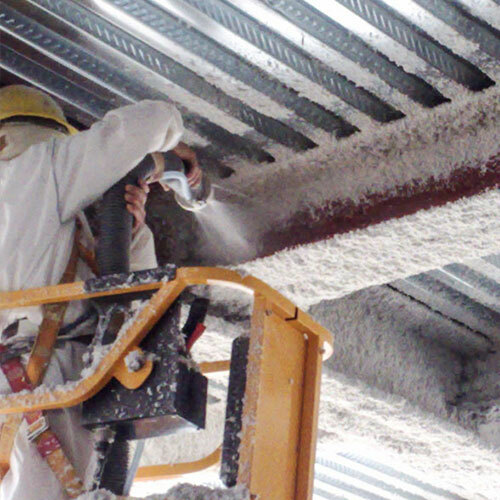 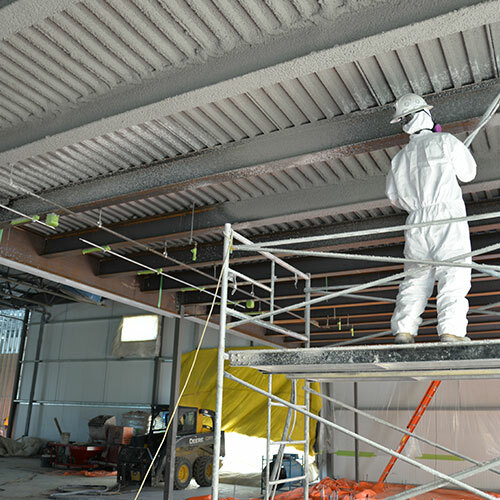 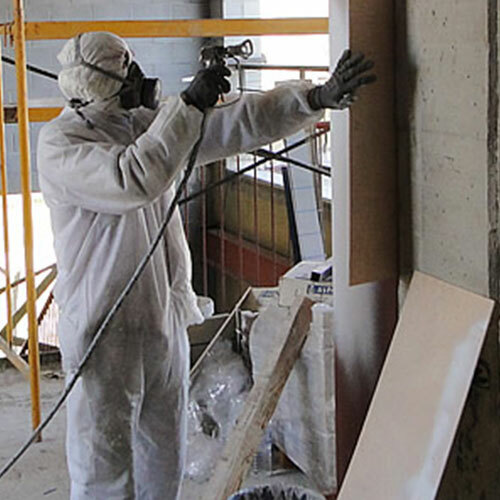 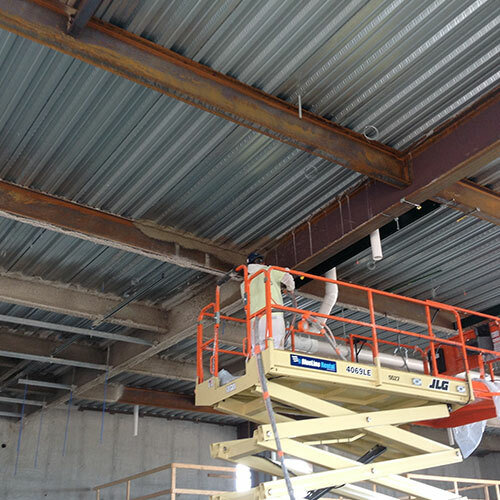 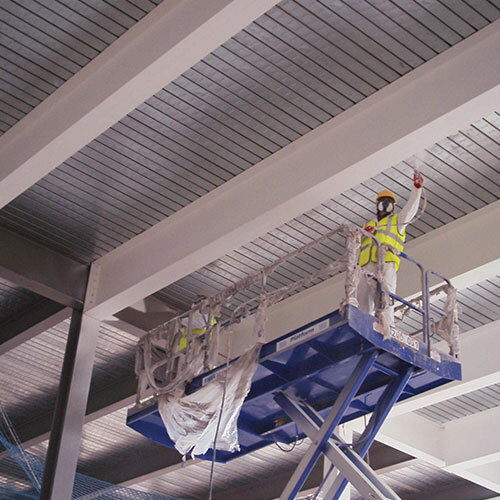 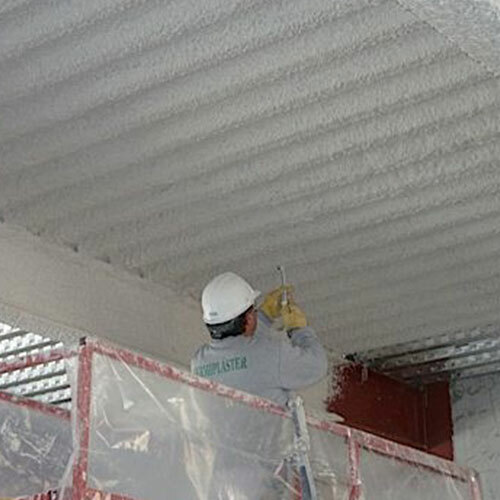 Spray applied fireproofing provides exactly this protection, offering a strong barrier against the spread of flames. 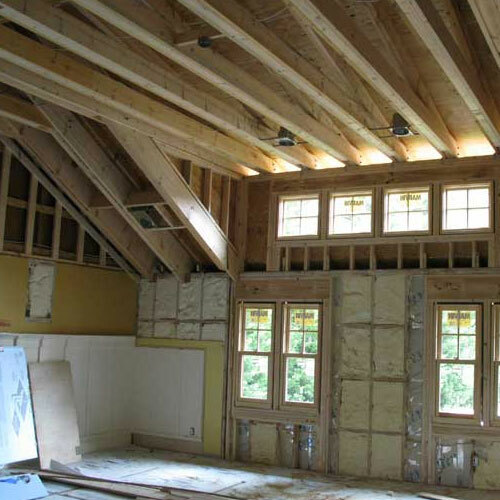 Fires will not be able to start as easily, and when they do begin, they will have trouble consuming the entire house. 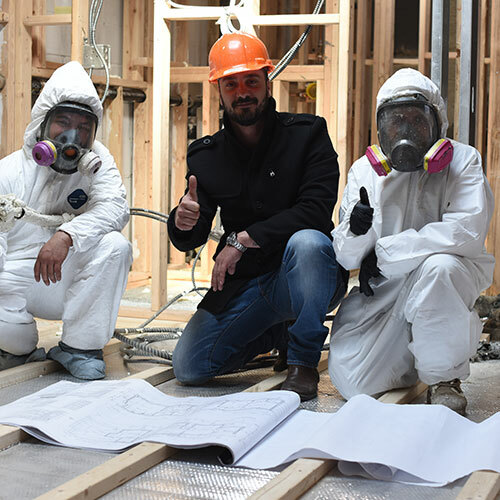 Our steel beam insulation also protects the structural integrity of a burning building, giving you more time to escape and reducing the likelihood that you’ll lose the house entirely. 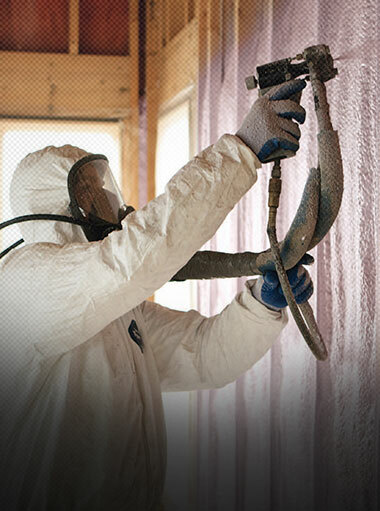 Contact us for more information on keeping your home safe from flames. 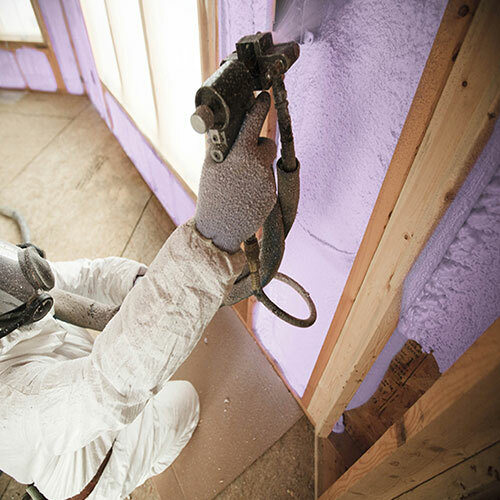 From mold to mildew to insects to rodents, there’s no limit to the number of organisms that will invade your home’s walls, damage the building, and threaten your health. 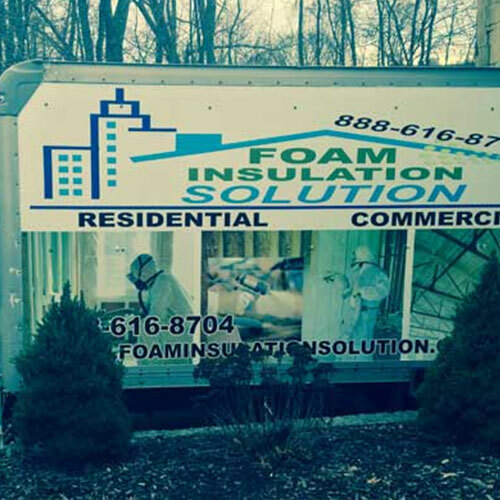 In order to begin an invasion, vermin and fungus need space to get into your wall, but spray foam insulation provides no such space. 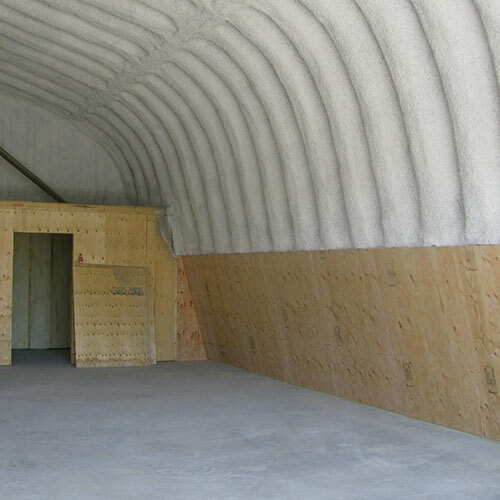 There is thus no place for them to take root, stopping an invasion as soon as it starts. 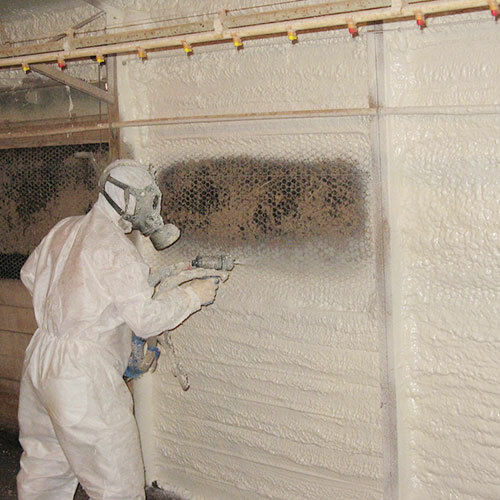 Thanks to foam insulation, you won’t have to call an exterminator, saving you from the high costs of cleaning an infested building.